Pura Silicone Sports Tops are 100% plastic-free, free flowing and leak-proof. 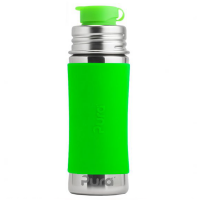 They easily convert your standard or insulated Kiki bottle into the perfect bottle for school age kids. 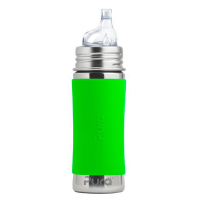 Crafted from safe, anti-bacterial medical grade silicone, they include an attached lid to keep things nice and clean and a vented sip guard which eliminates spills but still allows free flow of liquids. They operate with all Pura Kiki and Pura Sport bottles. 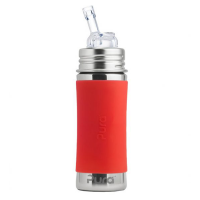 Pura Silicone Sport Top is not designed for hot liquids. This silicon cap arrived promptly and was exactly what I expected.